For some time, I’ve been exploring the actions of artists Tom Swift, Paul Hazelton and their friend Caspar. You can read here about how I uncovered connections between them, an ancient religious cult and Margate’s Shell Grotto. And that led me to finding an old essay, typed up and pasted into a scrapbook I found in one of Margate’s junk shops. It’s signed JR, Margate and dated 1874 and you can read it here. Swift, Hazelton and Caspar have today given me access to this set of photos on Flickr, which show them finding and opening a box. 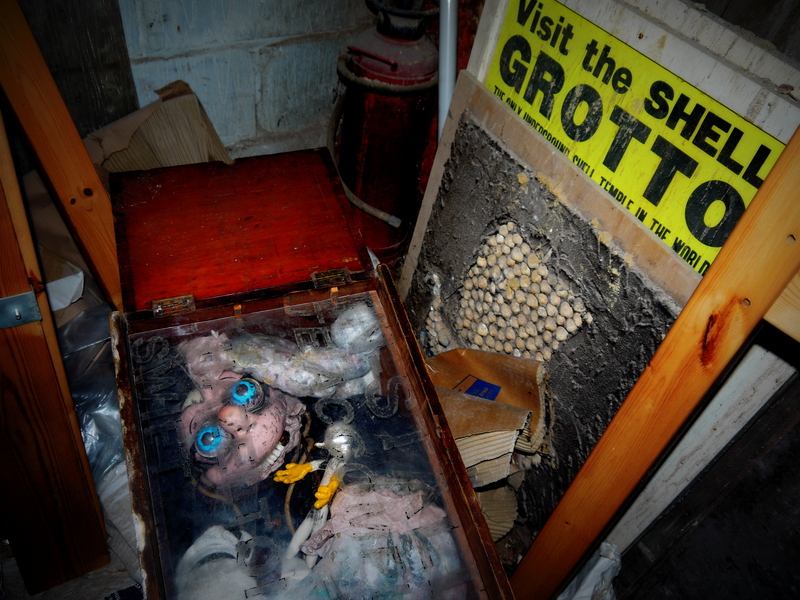 It was found in a hidden room at the Shell Grotto, so it seems my research was on the right track at least. I’ve uploaded them to my account on Flickr for your safety and convenience. 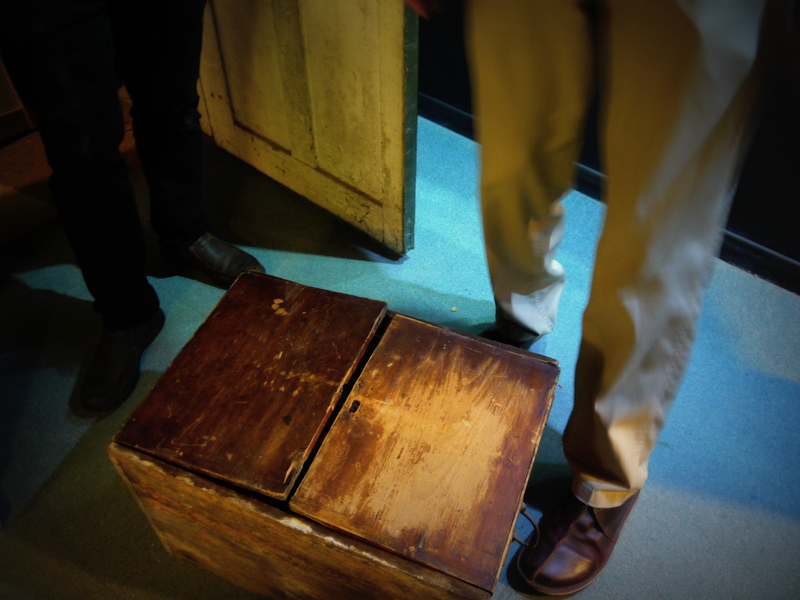 The box is now being exhibited in London, in an event curated by Alice Herrick. It was apparently the start of the series of artworks which Swift, Hazelton and Caspar called De-In-Stall, which included installations at A Fete Worse Than Death, the Art Car Boot Fair at the Folkestone Fringe and at the Herrick Gallery. De-In-Stall included text, film, drawing, assemblage, performance and installation. It all started with a box. Swift, Hazelton and Caspar say this is the last work. De-In-Stall is back in the box, and the mystery is set to be buried again. Next Post What would Jeremy Deller do?